Credit: NASA/Aubrey Gemignani. Download this image (JPG, 1.0 MB). 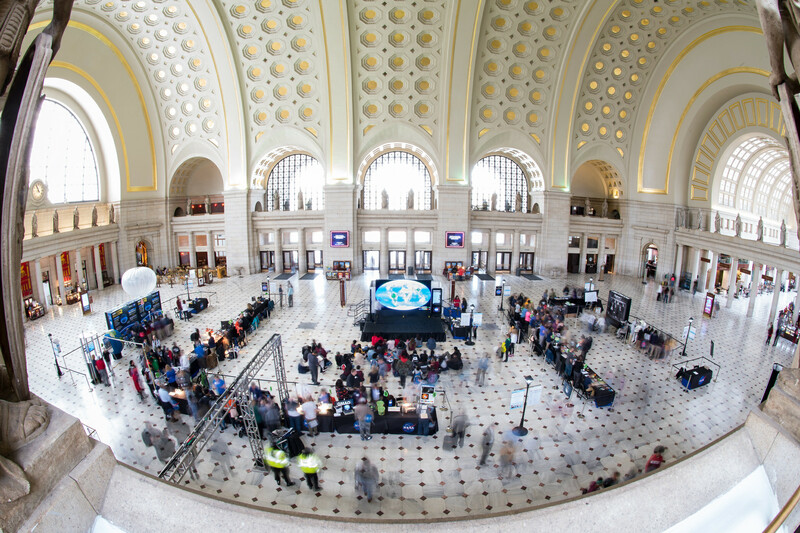 [19-Apr-18] A view of the exhibits at the NASA Earth Day event on Thursday, April 19, 2018 at Union Station in Washington, D.C. At the event, PACE volunteers staffed activities about ocean color and phytoplankton. Project Scientist Jeremy Werdell gave a talk on the "hyperwall" (shown in the center of the photo) to an audience of visitors.